H2O: Just Add Water, also known as H2O, is an Australian TV Show for children, pre-teens and teenagers, that is filmed at Sea World and other locations on the Gold Coast. It has a worldwide audience of more than 250 million. 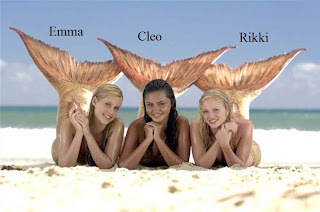 The show's plot revolves around three teenage girls facing everyday teen problems but with an added twist: they're mermaids with powers over water. Emma Gilbert, Cleo Sertori and Rikki Chadwick are three sixteen-year-old teenage girls who find themselves stranded on the mysterious Mako Island. They eventually find themselves in a pool under a dormant volcano just as a full moon appears overhead, bathing the pool in light. The girls are rescued and return to "normal life", but soon discover their lives have become anything but normal: seconds after contact with water, they transform into mermaids with supernatural powers over water. The trio enlist the help of Cleo's friend Lewis McCartney, who discovers the secret behind their transformations. 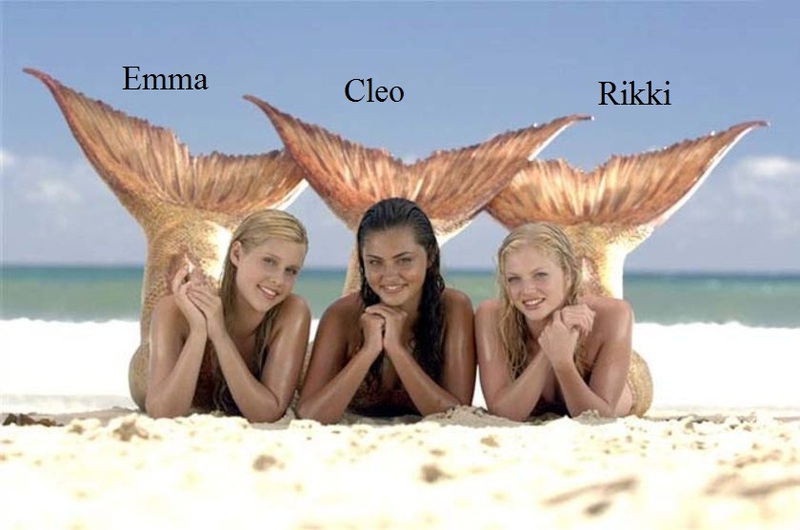 Emma Gilbert (Claire Holt) was the school's best swimmer until she became a mermaid. She could be a bit bossy and controlling but is a true friend. Her mermaid powers allow her to freeze anything that contains water, and later to freeze without water. Cleo Sertori (Phoebe Tonkin) is shy and awkward, but a loyal friend. Her mermaid power allows her to mold water into a different shapes. Rikki Chadwick (Cariba Heine) isn't very outgoing and quite a rebel, but is always there for her friends. Her special power allows her to boil water and anything with water in it. Lewis McCartney (Angus McLaren) is Cleo's best friend since they were five, and they later become a couple. He's very clever, and has always helped the girls with their transformation. Zane Bennett (Burgess Abernethy) is the local bad boy. Spoiled, rich, but definitely good looking, he and the girls at first disliked each other. Later, he and Rikki became a couple. After he found Rikki was a mermaid, they broke up, but eventually got back together. The theme song "No Ordinary Girl" is performed by Gwen Stefani in series one, by Kate Alexa in series two and by Indiana Evans in series three. Wow i remember this show i heard season 3 comes out next year! Can't wait!